Two more days then its officially summer here in New Zealand! 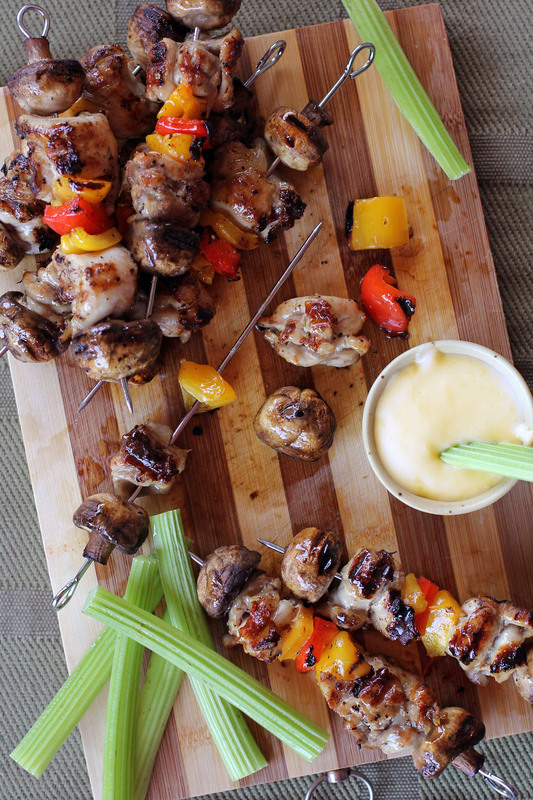 Summer here means a lot of barbecues and outdoor grilling, and what’s the best way to start it is with simple grilled dish called Brochette de Poulet. Brochette is a French term for mixed meats and vegetables that are skewered then grilled. It is not to be confused with satay and yakitori which also defines grilled meats in skewers, brochette is also grilled but vegetables are added unlike the others, on the other hand kebabs are not always grilled. Brochette is also the term for the equipment used to skewer the meats, the metal counterpart for the bamboo sticks used for Asian grilled meats. Brochettes may contain meats like chicken, beef, lamb and pork which is always accompanied with vegetables such as mushrooms, capsicums, onions, there are also some variations that add pieces of bread. A good light and summer meal which is best accompanied with light and refreshing salads. Marinate chicken in olive oil, salt, black pepper, cayenne and paprika for at least an hour. 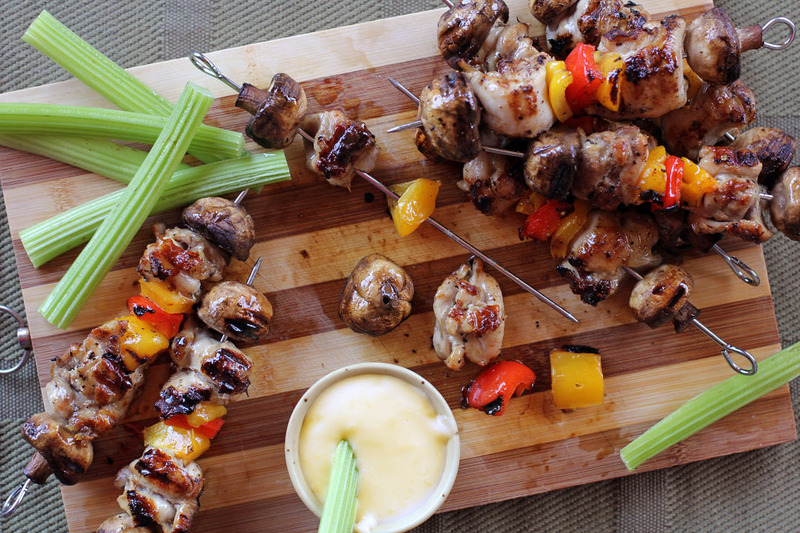 Now place the ingredients on a brochette or skewer. Looks so delicious!! <3 I love the idea of the mushroom. Wow, finger licking good kebab!!! the smoked paprika made it more than superb…. This looks so good! It’s cold here and I miss grilling as often already. Happy Grilling! That first photos is stunning! This is a perfect summer meal! I love grilling meat and vegetables in the summer time! A little cold for here to grill, but I will be pinning this or the spring. Thanks! I’m envious of you and your approaching summer! Once the excitement of Christmas passes, I’m going to wish I was eating these brochettes sitting outside next to the grill or on a beach.